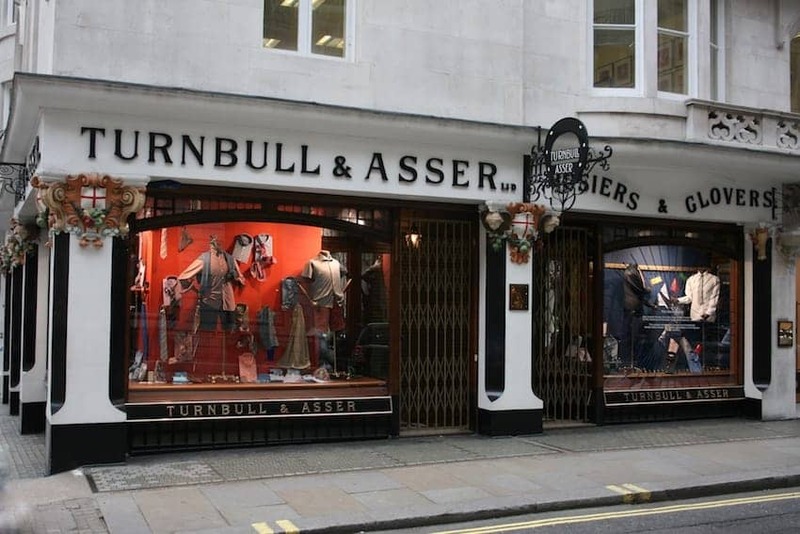 Turnbull & Asser is a gentleman's bespoke shirtmaker, clothier and tie maker established in 1885. It was bestowed the Royal Warrant of HRH Prince of Wales in 1980. The company's flagship store on Jermyn Street, St James, is their oldest and largest, with many original fixtures and fittings still in place from 1903 when it first opened. It is also the only place to see the full collection of classic and seasonal clothes and accessories. Customers can have a bespoke consultation for a made-to-measure handmade shirt and select from more than 1,000 fabrics and numerous collar and cuff options.